God speaks to us in many ways. Some people see God in nature; others in art; still others in the lives of great saints. As for me, I’m a word person and God most often speaks to me through words, and the things I am reading. I don’t think that’s odd. After all, didn’t God “speak” the world into existence with words? Isn’t Jesus called “the Word”? Isn’t the Bible, our primary resource for knowing God, His Word? This is not to say that there is plenty of unedifying reading material out there. We have to use discernment in what we select; but there are a plethora of good choices. There are Christian writers of every ilk; there are classics that educate us; devotionals that feed our souls. History and historical fiction can inform us; biographies inspire us; poetry lifts our spirits. 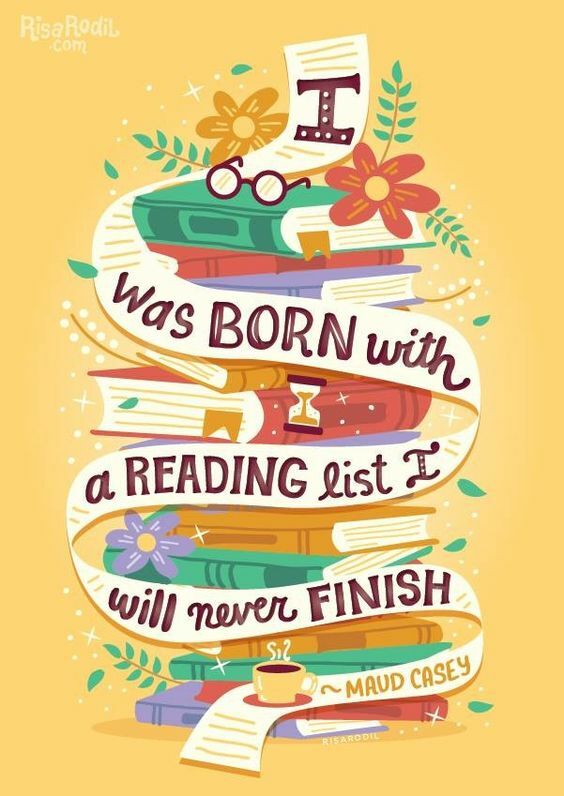 So compose your own reading list. Ask for suggestions from your Pastor and other Christians. Take a look at books we’ve reviewed on our blog. When you find a writer who speaks to you, see what else they’ve written. Dive into some of those literary classics that bored you in high school or college. And, of course, don’t forget your Bible. Try different versions; buy a commentary or a study Bible, attend Bible study. God made us creatures who learn, and above all, He wants us to learn about Him. Don’t miss the opportunities that are out there for you! The reading above from Psalm 19 also speaks to this issue of wisdom for believers. Wisdom is not only knowledge, but no one can be said to be wise without knowledge. And the knowledge that makes us wise unto eternal life is found only in God’s Word. David says here that God’s Word is precious for His people. It challenges us by converting our souls in such a way that the simple of the world become wise. God’s Word also cheers us– it makes our hearts rejoice even as it enlightens us in a way nothing else can. Martin Luther spent years bothered by his fear of God and the anger this caused in his heart. But one day, as he studied the book of Romans, the words, “The just shall lived by faith” jumped off the page and he understood for the first time what they truly meant. Here’s how Luther described it. “Before those words broke upon my mind, I hated God and was angry with Him because, not content with frightening us sinners with the Law and by the miseries of life, He still further increased our torture by the Gospel. But when, by the Spirit of God, I understood those words … then I felt born again like a new man. I entered in by the open doors into the very paradise of God. In very truth this text was to me the true gate of paradise.” God’s Word, revealed by the Spirit, cheers us. His Word also changes us. David says God’s Word is cleansing, it washes the grime and the filth of this life away. In the comic strip Peanuts there was a little boy who was called Pigpen because he was always covered in dirt. In the same way people are covered by the filth, not of the ground, but of our sins against the Lord. Yet in God’s Word we find the truth which will wash away all of our sins better than any soap can cleanse the world’s soil from our bodies. David also shows us that God’s Word is not only precious but it is also powerful. He writes that we are warned in God’s Word. But the warning is for us and so we are convicted. God’s Word convicts us of our sins, it shows us the depths of our depravity, it teaches us how far we are from being what is good and righteous. Unless we are convicted of our sinfulness, we will neither seek nor will we find a Savior, but we will instead go along thinking everything is well when in fact everything is as far from well as it could possibly be. God’s Word clears the eyes so we can see aright. Not only can we see the evil we have done, but we also learn to see the good we have not done and the flawed intentions of our inner thoughts even when we do what is right. As cataract surgery clears our vision of the world around us, so God’s Word opens up our vision to the eternal world which lies before us. Finally, Psalm 19 shows us that God’s Word can correct us. It will keep us from folly and simple mindedness. It will show us wisdom. So as David taught his son Solomon about the Law, so Solomon teaches us about wisdom. True wisdom, the kind of wisdom we need to live a life that is pleasing to God and a witness to the world of the ways of Christ. This review is longer than usual because this book deserves your attention. Trevin Wax is a well-known evangelical millennial and after reading this book, I can see why. He manages to take modern day situations and show how they relate to God’s word. Starting with the introduction, Trevin engrosses the mind and engages the thought process by telling us that our neighbor is not where the battle is, but rather the battle is with the lies that are told by the powers and principalities that engage us daily through the media. There are 8 chapters in the book. The first 4 deal with the habits that impact us on a day to day basis. The last 4 are based on the larger myths that animate our society. Every single chapter holds a wealth of information that opened my eyes to things that I have been doing and not even been aware that I was doing them. I enjoyed this book so much that I am going to give a chapter by chapter review. Chapter 1 deals with how our cell phones, internet practices, and even our friends can lead us to have a formed opinion instead of an informed opinion of ourselves, by narrowing our information intake to model our “Christian beliefs.” This constant affirmation of our views leads us to the myth that our “beliefs” are always right. Chapter 2 is about our interaction with movies, TV shows, etc. As most of us realize, a lot of the things we watch are fictional but the constant immersion into this alternate reality can pervert our true reality. Often, these movies and shows tell us the lie that our fulfillment is found not in God but in emotional and material things. Chapter 3 – This chapter addresses how we use society’s goals to map out our future. Often, doing that leads us on a faulty path away from God. God’s word leads us on a true path with a glorious ending. Chapter 4 – Our all-time favorite myth of all, shopping and material things can make us happy. We have turned our year into one shopping event after another. Instead of being thankful for what we have in November, we are planning to buy more on Black Friday so we can be happier. Ads that target our longing to be accepted through the labels we wear, the car we drive or the newest electronic gadget have turned shopping into a substitute “Religious” experience. In these first four chapters, there were several quotes that stood out. Now onto the last four chapters. Chapter 5 – Here the Author reminds us that we are not “at home” on this Earth. We forget that this is not where we will spend our eternity but it is only where we spend a short tie in the span of our lives. We, as Christians, have become too much “of the world” and have failed to remember to just be “in the world.” This chapter also delves into the trap of politics, where sometimes politics become so central to us it becomes our alternate religion. In Chapter 6 Trevin deals with the thought that we look at marriage as the pinnacle of our relationships, instead of making it the foundation of our lives. He does a great job of delving into common fallacies that pervade our societal beliefs and shows how each and every one of them steers us wrong and why. Chapter 7 – Another common myth – Sexual freedom is a sign of a mature society and a sign of our freedom. We have gone from a society and culture where sexual restraint was a sign of maturity into believing that sexual relations are a sign of maturity. Chapter 8 This chapter is titled “As the World Wobbles” I admit I was confused as to what the content of this chapter would entail. After reading the chapter, the title fits perfectly. We, as a society, go back and forth with “the world is ending” to “the world is better now than ever.” Read this chapter for more information on this. The final four chapters of the book sum up the worldly myths we encounter daily. Below are my favorite quotes from these chapters. As you can probably tell, I thoroughly enjoyed this book and believe it would make a great small group study. Read it, Study it, Learn from it. I sure did. As Lutherans, we ray the Lord’s Prayer every Sunday – But do we really understand or even hear what we are saying – the power and reverence? This book explains the power of prayer and what each line means. I enjoyed this book and felt it gave great examples of how to construct our own prayers through the model of the Lord’s Prayer. This book is written so that anyone wanting a more detailed explanation and help can follow along. I give this book 4 out of 5 stars – it is well written and easy to understand. So You Need a Theophany? In the time of Moses, God led his people in a very visible way. There was the burning bush, the storm on Mt. Sinai, and the pillars of cloud and fire. The big theological word for this is theophany. Sometimes we wish God would act in the same way today. Wouldn’t it be easier if we could actually see God? If we could all just get in our cars and drive off in a convoy with God leading the way? Wouldn’t we be less likely to go astray? Surely we’d get things right if God would just make himself plain. The thing is, He has. For one thing, we have His word, the Bible. It has plenty of instructions the ancient Israelites had to do without. We also have the example of Jesus. Jesus was the ultimate theophany, God made man. The Israelites didn’t have Him either; they had Moses, a prophet, but just a man who spoke with God, not God Himself. So what is our excuse? So what should we do if we’re really intent on following God? Read His word — He gave it to us for a reason. Take it as it stands. Don’t try to weasel out of what God has made clear. Imitate Christ. The Bible says He was tempted, just as we are, but did not sin. Pray. Lay your decisions at God’s feet. Communicate your fears, frustrations and hopes. God is the leader who won’t let you down; but you have to follow. This book is the second in a series published through Hobbs College Library (part of OBU). I will start off by saying that this book is not for the average layperson. It is a deep study of the formation of sermons. The author of this book, R. Scott Pace is a distinguished writer and professor who utilizes his experience to assist pastors in developing their sermon style. The book is divided into the following three sections: Foundation, Framework, Finishing Touches; within each section of these three sections are the sublevels of sermon writing. In foundation, the reader is given information about the inspiration and investigation into the sermon topic. He advises the reader that unless the foundation is solid (Based on the Word of God) the rest will falter. The next section, framework, progresses into interpretation and implementation of the Word and how to study and use the information received to write a sermon. The final section, Finishing Touches goes into introductions, illustrations, invitations, and conclusions. Throughout the book, Mr. Pace stresses the importance of using the truth of God’s word in your sermons. He also stresses the impact of a personality in a sermon. I can identify with that because I am more apt to actually hear a sermon that has a personality to it. I do not mean the pastor is acting like an idiot, but just that their individual personality shines through the words they are speaking. Even though this book is not geared towards laypeople, but towards pastors, I enjoyed learning about structuring sermons and how to make sure they follow a good format. I would give this book 5 out of 5 stars and a must for those starting to deliver God’s word. I was given a free copy of this book for an honest review by B&H Publishing. This is the Christian Standard Bible translation offered by Holman. The exterior of this Bible has a hardback light turquoise with a cream bookend. It comes with a very pretty flowered paper jacket. The appearance of this Bible is feminine and the only thing I would like to see changed is that the flower jacket covered the entire exterior. The interior has a lot of features to review, starting with the wife and husband family trees located in the very front of the book. It then lists the Ketubah, which is a Jewish marriage contract, I found the information about this interesting and it also gives space for your own personal contract to be written. Next comes the listing of family milestones and spiritual mothers. Since there are events and people in our lives that shape us, this is a great way to honor them. The introduction to the Study Bible had some very relevant suggestions and ideas that were written by Dorothy Kelley Patterson (professor at Southwestern Baptist Theological Seminary). There is also a section on how to actually study the Bible. There are essays from various women throughout the Bible and also different charts and maps to help. One of the many items I liked were the word studies located throughout. Each one picks a single word and gives a more detailed breakdown; origin, different locations in the Bible, etc.) The concordance is the back has many different features including related terms, color coding for old, new or both. Now to the meat of the review. I checked the translation against my ESV, NIV, and NLT and found them to be similar. I like the format of the study notes and how much information is provided. The essays and study notes were extensive and I did not read all of them, but the ones I did were in line with the Lutheran doctrine. However, if anyone should have questions about any notes in a study Bible, I would suggest a discussion with your Pastor in case the notes are not conducive to your doctrine. That being said I would purchase this Study Bible and give it 3 out of 4 stars.